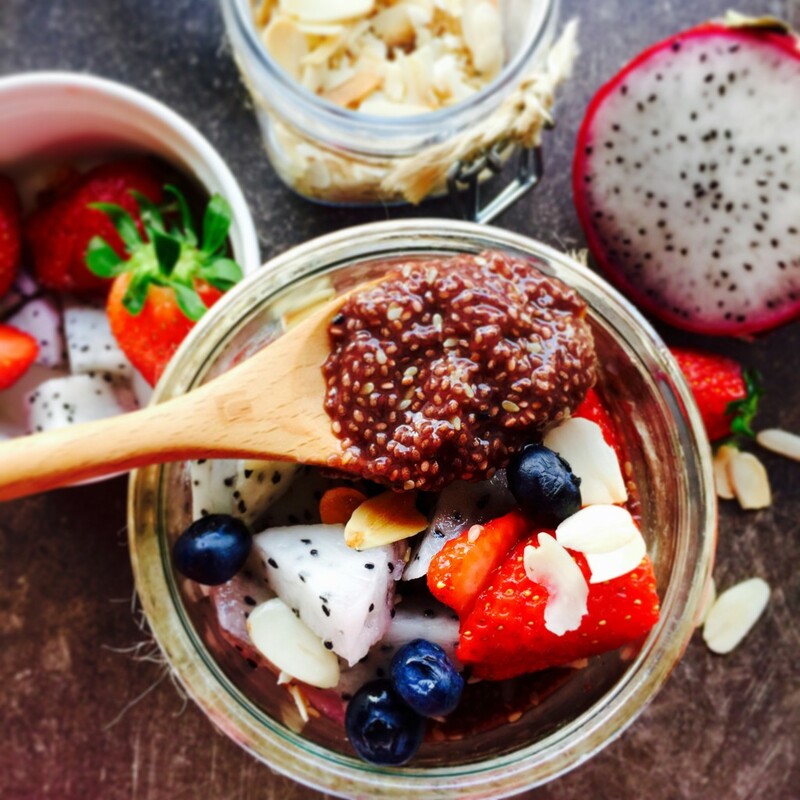 A raw vegan chia seed pudding the way I like it. 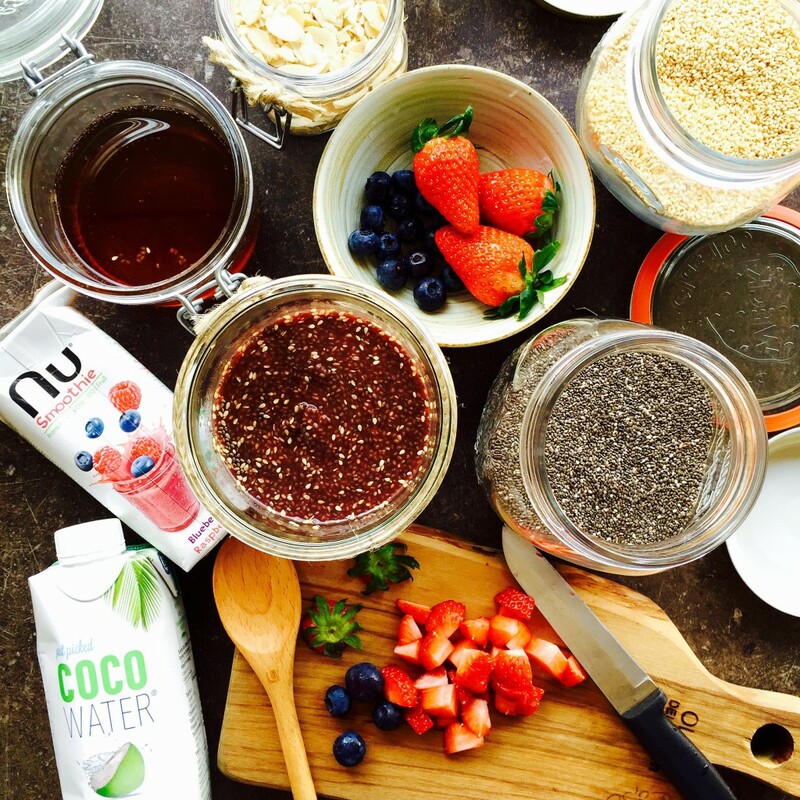 Stir in the Nusmoothie together with the coconut water . Combine well. Refrigerate for at least 4 hours or overnight until it is jam like nature. Tip: Coconut flakes would have been lovely. If you would like it to a little more firm, the chia seeds can be increased to 80g instead of 60g. It would be lovely to make them in tiny little jars or even cupcake cases and serve as special breakfast treats or sweet treats. Actually, this may be an alternative way of making homemade jams without heat! My verdict: I loved the soft jello like texture and the toasted sesame seeds added a new dimension to the pudding.